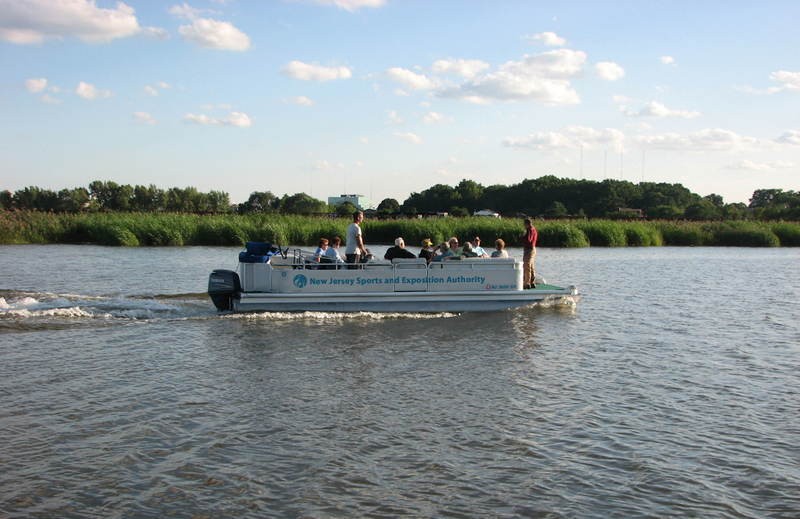 Sign Up Now for Pontoon Boat and Canoe Tours of the Hackensack River! It’s that time of year: The NJSEA’s Guided Pontoon Boat and Canoe tours of the Hackensack River launch in just a couple of weeks! The first pontoon boat cruise of the 2016 season departs from River Barge Park in Carlstadt on Tuesday, June 7, while the canoe season kicks off on Saturday, June 25, also from River Barge Park. The two-hour boat trips and three-hour canoe tours offer an excellent way to see the natural beauty of the Meadowlands and its wildlife up-close. Guides talk about the history of the Hackensack River and its surrounding environs and structures, and point out wildlife along the way. So come on out and experience the Hackensack River and the Meadowlands in a totally new, amazing light from the vantage point of a pontoon boat or canoe! Tours run through September. For dates and to register click here.